Social networking is one of the biggest activities carried out on a smartphone these days with people using various social networking platforms like Facebook, LinkedIn, Twitter, Google+, etc. But do we really need a high-end smartphone just to access these social networking sites ? I mean, feature phones too have the ability to run 2G and 3G networks, right ? Well atleast Facebook has thought about it. They had recently launched ‘Facebook for Every Phone’, a project in which they are delivering an app, which offers a fast and comprehensive Facebook experience on over 2,500 different phones. It includes your News Feed, Inbox, and Photos and enables you to upload photos and find friends from your phone’s contacts. Yes, Facebook has collaborated with many carriers worldwide to offer free data access to this app for 90 days. This experience is optimized to use less data than other Java apps or mobile sites, making it much more affordable for people to use when the 90-day period ends. Network operators including Aircel, Airtel, Idea and Reliance are offering the free 90-day trial. Will it support my handset? 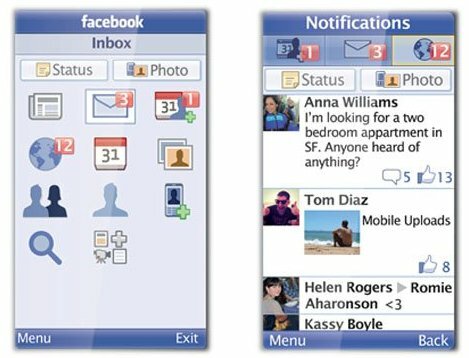 The Facebook for Every Phone app supports almost all Java handsets and more handsets will added in the near future. You can download the app by visiting m.facebook.com and scrolling down to the download link, or by entering d.facebook.com/install directly into their mobile browser. You can also find it in leading app stores, including GetJar, Appia, and Mobile Weaver.